More tape-y goodness from Shake! 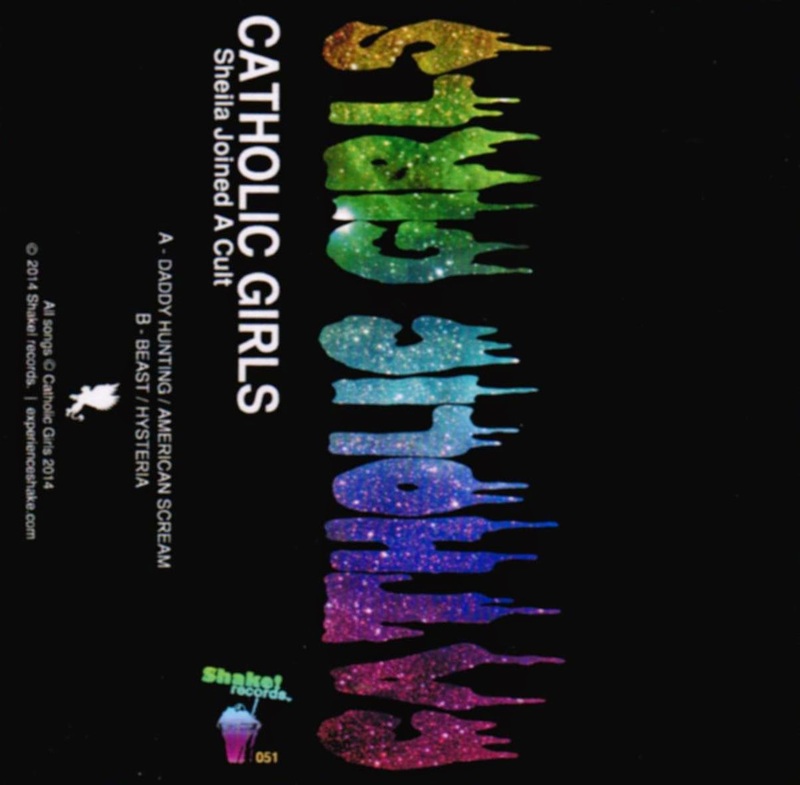 Records, this time featuring local goth rockers Catholic Girls. Their tumblr claims that they feature "Former members of Mount Analogue, The Poly Shores and The Grim Beat," which gives them some pretty good pedigree. For us, it's the vocal - alternating between goth chanteuse and bubblegum - floating over darkwave synths that makes these guys a pretty great listen. It should be noted that the four songs on here are also available on 7" vinyl, which we also picked up at Sloth. If you want the tape, you can get it via Shake.